The U.S. Coast Guard and the Environmental Protection Agency are working with Texas state regulators to clean up oil and chemicals spilled from a dozen industrial facilities after flooding from Hurricane Harvey, authorities said. The spills came from oil refineries, fuel terminals and other businesses, but EPA spokeswoman Terri White said it was not possible to provide an estimate for the amounts spilled. "Initial reports were based on observation," White said. Refineries owned by Valero Energy Corp in Houston, Motiva Inc in Port Arthur, and Exxon Mobile Corp in Baytown, were among the facilities that had reported spills, according to White. Representatives for those companies did not immediately respond to requests for comment. U.S. oil markets were readying for fallout from potential U.S. sanctions on Venezuela's vital oil sector on Monday after Sunday's election in the struggling country was deemed a "sham" by Washington. Venezuelan President Nicolas Maduro on Monday celebrated the election of a new legislative superbody that will have the power to dissolve state institutions such as the opposition-run Congress. Countries around the world denounced the vote. U.S. crude futures jumped above $50 a barrel for the first time in two months early in the session before retreating, after U.S.
Venezuelan crude oil sales to the United States declined in March for the third month in a row this year to 651,710 barrels per day due to falling exports of main grade Merey, according to Thomson Reuters trade flows data. Venezuela's crude output fell in 2016 to its lowest level in 23 years. Analysts expect another decline in 2017 due to lack of investment and to cash flow problems affecting state-run oil firm PDVSA, which controls more than 40 joint ventures for exploration and production. The volume of Venezuelan crude that PDVSA and its joint ventures exported in March was down by 2.3 percent from February and by 18 percent from a year earlier. The Houston Ship Channel re-opened to some vessel traffic on Tuesday afternoon, the U.S. Coast Guard said, after an early morning tanker fire prompted closure of the waterway. The U.S. Coast Guard Houston Vessel Traffic Service said it would commence with tow vessel transit outbound from Old River and San Jacinto River. That would be followed by inbound movements, it said. The Houston Ship Channel links the busiest U.S. petrochemical port to the Gulf of Mexico. Four Houston-area refineries were unable to receive crude oil from tankers on Tuesday after a portion of the channel was shut by an early-morning fire aboard an empty tanker. The fire began shortly after midnight CDT (0500 GMT) aboard the 810-foot (247-meter) tanker the Aframax River and was extinguished within a few hours. The Houston Ship Channel was re-opened after a burning tanker prompted a nearly three-hour shutdown of a two-mile-long (3.20-km-long) section of the largest petrochemical port in the United States. The fire was extinguished nearly 90 minutes after it started, but the channel remained closed for nearly another 90 minutes as firefighters monitored the air to ensure no toxic fumes lingered, Coast Guard Petty Officer 1st Class Andrew Kendrick said. "Initially it was a big fire, but it came down pretty quickly," he said. 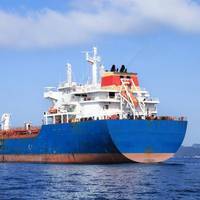 Earlier on Monday, flames were seen shooting from the tanker Navigator Europa, moored outside the Targa LPG export terminal, according to a source and Reuters vessel tracking data. A representative for Targa Resources Corp did not respond to a phone call seeking comment. A burning tanker in the Houston Ship Channel on Monday prompted the U.S. Coast Guard to close a two-mile-long (3.20-km-long)section of the largest petrochemical port in the United States. The fire was extinguished nearly 90 minutes after it started, but the channel remained closed as firefighters monitored the air to ensure no toxic fumes lingered, Coast Guard Petty Officer 1st Class Andrew Kendrick said. "Initially it was a big fire, but it came down pretty quickly," he said. Kendrick confirmed that the tanker was loading ethylene when the fire started, and said no injuries had been reported. Ethylene is a chemical used in making plastic. He said a few outbound ships were waiting to move, and a tugboat was waiting to go further into the channel. Move comes amid worries of seasonal dent in Alaskan supply; gap between U.S., international crude prices narrows. Refiners on the U.S. West Coast and Hawaii have stepped up purchases of Russian crude, taking advantage of a narrow gap between U.S. and global prices as they look to guard against a seasonal shortage of Alaskan supply, trade and industry sources said. Up to four tankers were expected to carry nearly 3 million barrels of Russia's ESPO crude from Kozmino near the city of Vladivostok to refineries in the United States this month and next, the sources said. That will help Russia diversify beyond key buyers in China, South Korea and Japan at a time when Asian markets are grappling with oversupply. Sanctions against Russia over its actions in Ukraine bar U.S. The Ports of Indiana handled over 10.4 million tons of cargo in 2014, up nearly 26 percent from the previous year. This was the first time annual shipments exceeded 10 million tons in the port authority's 53-year history. The 2014 total was nearly 800,000 tons higher than the previous record set in 1994. Shipments of coal, agricultural products and steel helped drive significant increases in annual cargo volumes at the state's ports. Steel shipments more than doubled while grain shipments were up nearly 72 percent from 2013. 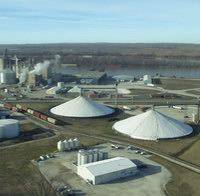 Ethanol and dried distillers grains (DDGs) increased 54 percent and 51 percent, respectively, while salt shipments nearly tripled over the previous year. The Port of Indiana-Mount Vernon handled 735,000 tons of cargo in December, which was the highest ever single-month total at any of Indiana's three ports, and also produced the highest fourth-quarter shipments by any port in Ports of Indiana history. December's results were 31 percent higher than the previous single-month record set in 1993 and the port's fourth quarter shipments broke its own quarterly record established in 2013. The port finished 2014 with 4.85 million tons, up 17 percent from 2013 and the highest annual total since 1994. The Port of Indiana-Mount Vernon handled 735,000 tons of cargo in December, which was the highest ever single-month total at any of Indiana's three ports, and also produced the highest fourth-quarter shipments by any port in Ports of Indiana history. December's results were 31 percent higher than the previous single-month record set in 1993 and the port's fourth quarter shipments broke its own quarterly record established in 2013. The port finished 2014 with 4.85 million tons, up 17 percent from 2013 and the highest annual total since 1994. Coal, grain, ethanol, dried distiller grains (DDG) and steel were the dominant cargoes in 2014. Recent meetings between U.S. oil producers and Commerce Department officials have fueled industry hopes that the Obama administration may soon begin to ease a longstanding ban on oil exports. Although it would require an act of Congress to end the four-decade export ban, some analysts and executives believe the White House may be getting ready to open up the taps a bit, allowing some export of a super-light form of oil known as condensate, which falls into a regulatory gray area. Executives and sources said a number of major shale oil producers have quietly stepped up lobbying efforts over the contentious energy issue in recent weeks, meeting with officials from the Commerce Department's Bureau of Industry and Security (BIS), which oversees exports. 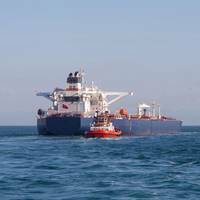 Mexico's Pemex has quietly begun shipping light Isthmus crude to a variety of West Coast refiners this year, according to U.S. and Reuters data, resuming such sales after a six-year hiatus. The state-run oil company, which exported only about 100,000 barrels per day (bpd) of Isthmus last year, shipped about 340,000 barrels of the crude to Valero Energy Corp at Benicia, California, in January and February, according to U.S. government data. It sent another 350,000 barrels (48,000 tonnes) to Tesoro Corp in San Francisco in March, according to Eikon's trade flow database based on PIERS data. Pemex then exported another 150,000 barrels to Shell Trading at Anacortes, Washington, in May from the Salina Cruz terminal. In the two years since oil reservoirs were discovered off Cuba's coast, Canadian, Chinese, Indian and Norwegian companies have lined up to explore the potentially lucrative Caribbean waters. U.S. oil exploration in Cuban waters - along with most U.S. trade - is prohibited under a 45-year-old U.S. embargo designed to undermine Fidel Castro's communist government. This week, American energy executives meet their Cuban counterparts in the first private-sector oil summit between the two countries. Cubans hope to inform the businessmen of their country's oil potential while undermining the embargo, which has often frustrated American corporations. Five refineries in Texas and Louisiana suffered significant damage from Hurricane Rita over the weekend and at least two of them will take weeks to come back on line, Reuters reported. U.S. oil companies on Monday took stock and began recovery efforts to Gulf of Mexico refineries and offshore production infrastructure after Hurricane Rita, the second major storm in a month to strike at the heart of the U.S. energy industry. Rita wreaked havoc on at least five refineries in Port Arthur, Texas, and Lake Charles, Louisiana Two of them said it could be weeks before they restart. The U.S. Department of Energy said Rita and Katrina had taken out about 4.4 million barrels per day or about 25 percent of total U.S. refining capacity.